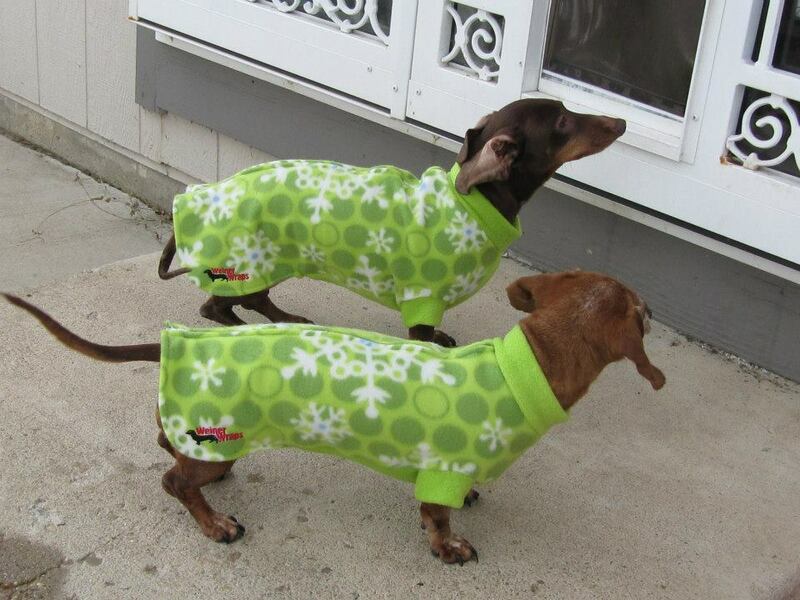 What makes a WeinerWrap different from all other Dachshund coats, sweaters, or jackets? Superior quality, hand made in the USA, from warm, comfortable, soft fleece, designed to fit wiener dogs in warmth and comfort. Top mounted full length zipper making these dachshund jackets quick and easy to put on or take off. Unisex coats with stretchable fleece in the chest and belly panels for added warmth, yet still allowing your weiner dog to do their duties without soiling their jacket. Stylish fleece collar along with cuffed leg openings for the front legs. A soft poly cotton blend fleece that is warm and easy to maintain. We use pill resistant heavy duty fleece and use quality zippers. These jackets have demonstrated a good track record of lasting several years. This fleece is used in outdoor clothing which is a synthetic fleece that provides lightweight warmth and durability. It is water resistant. quick drying, breathable, and pill resistant. These jackets also contain the same quality zippers. These are patterns that are no longer available. There is not a full range of sizes and therefore size of your dog is the first item to consider. Have your dog's name embroidered on the jacket for an additional charge. Order jacket first then use back arrow to go to Order page and click on Embroidery.